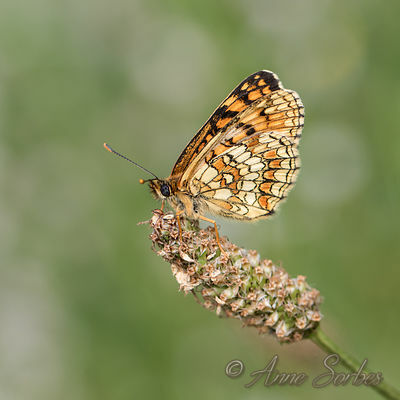 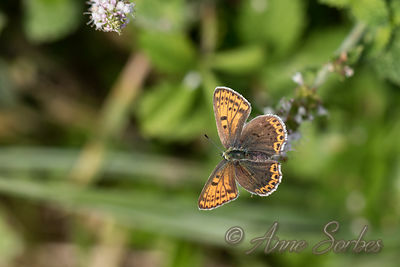 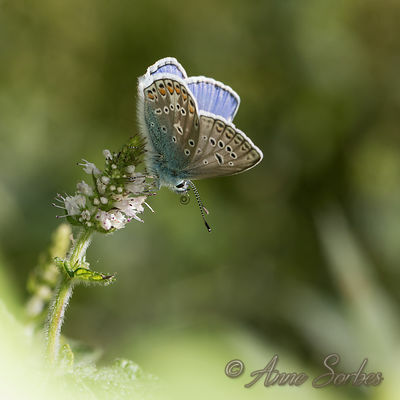 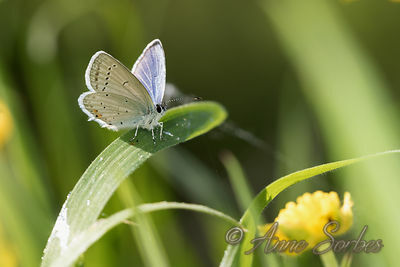 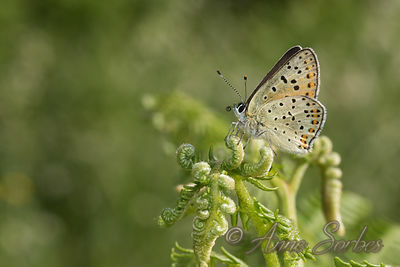 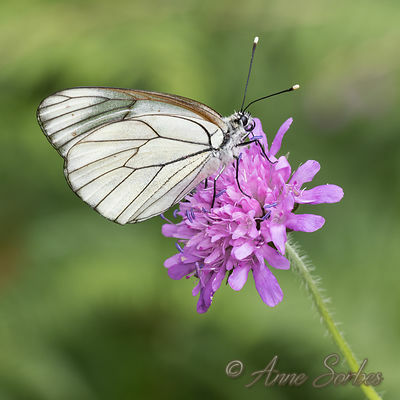 Anne Sorbes Photographies | Butterflies of my wet meadow - Limousin, France. 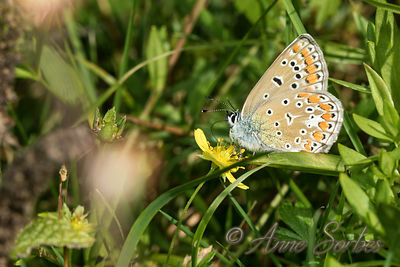 Butterflies of my wet meadow - Limousin, France. 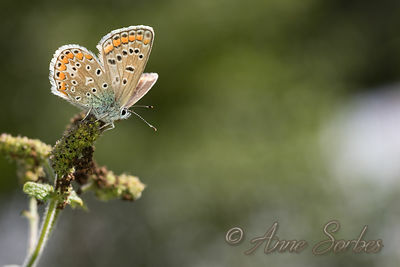 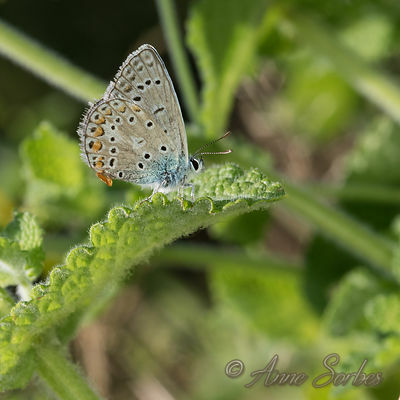 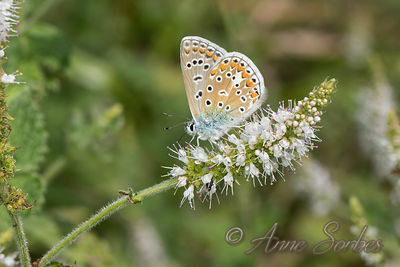 Common Blue male resting on a apple mint in a wet meadow. 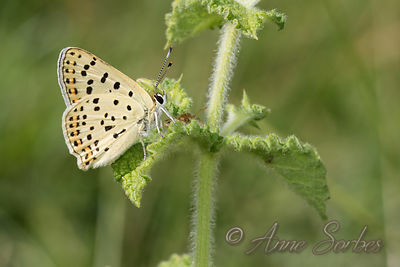 Sooty Copper male resting on apple mint in a wet meadow. 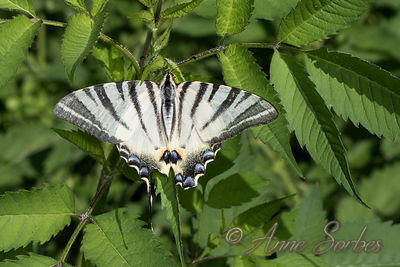 Scarce Swallowtail resting in a wet meadow. 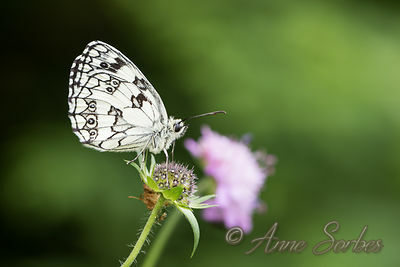 White Admiral resting on a bramble leaf in a wet meadow. 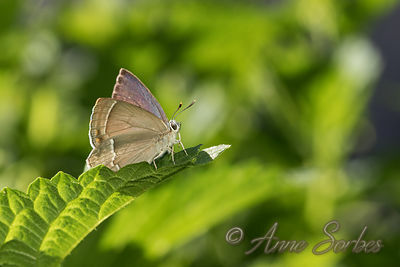 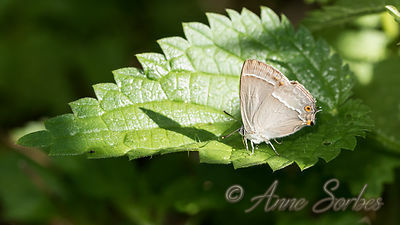 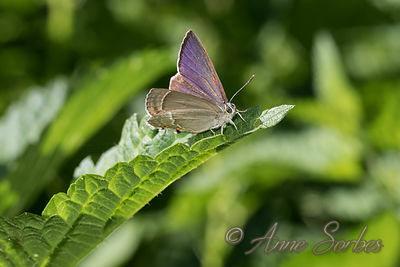 Purple Hairstreak resting on a nettle leaf in a wet meadow. 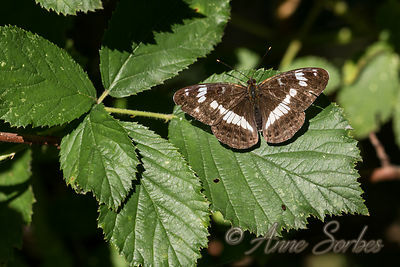 Southern White Admiral posed in a bramble bush. 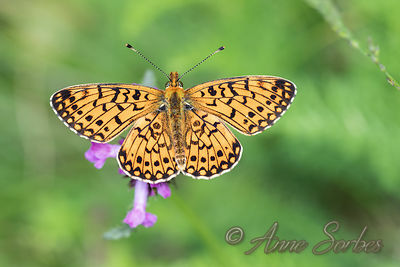 Small Pearl-bordered Fritillary resting on betony in a wet meadow. 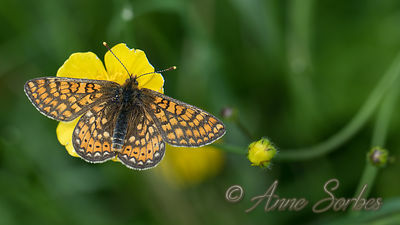 Marsh fritillary resting on an oxeye daisy flower in a wet meadow. 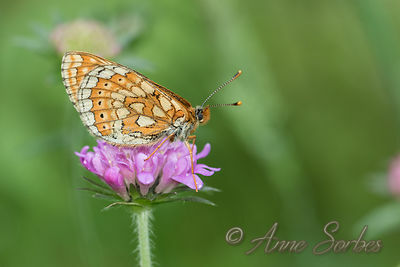 Marsh fritillary resting on a Wood Scabious flower in a wet meadow. 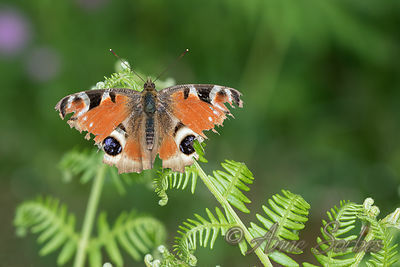 European Peacock resting on a fern in a wet meadow. 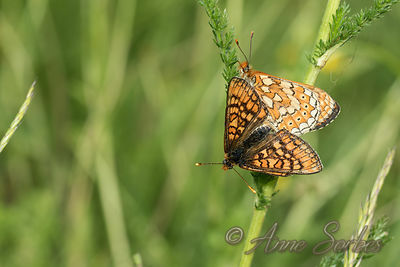 Mating of Marsh fritillaries on a common yarrow in a wet meadow. 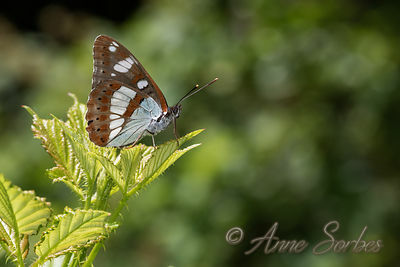 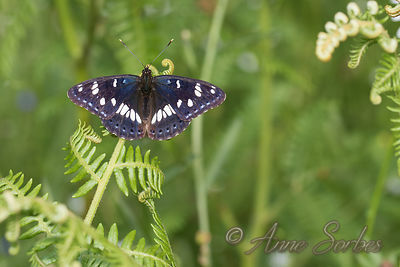 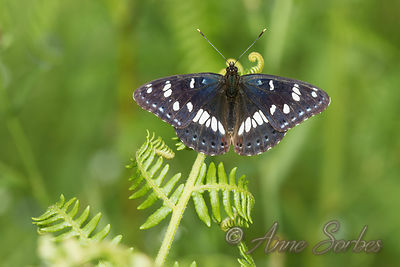 Southern White Admiral resting on common bracken in a wet meadow. 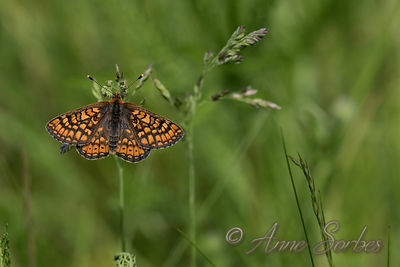 Heath Fritillary resting in a wet meadow. 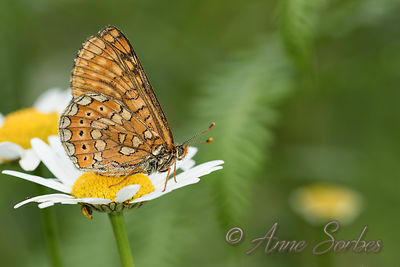 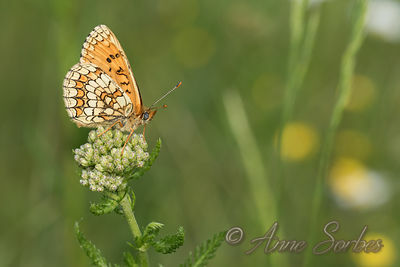 Meadow Fritillary resting on a common yarrow in a wet meadow. 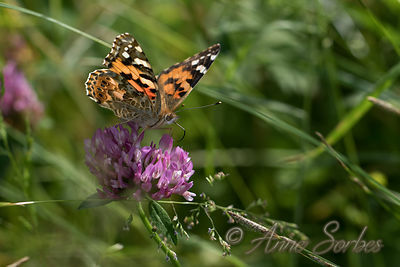 Painted lady gathering nectar of a clover flower in a wet meadow. 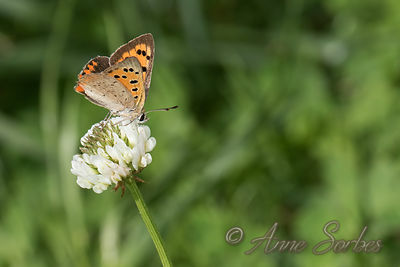 Small Copper gathering nectar of a white clover flower in a wet meadow. 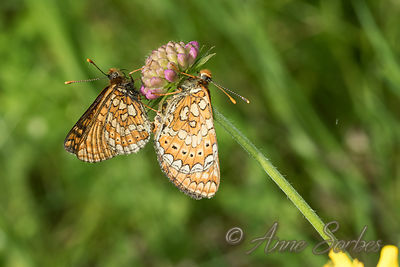 Mating of Marsh fritillaries on a Wood Scabious flower in a wet meadow. 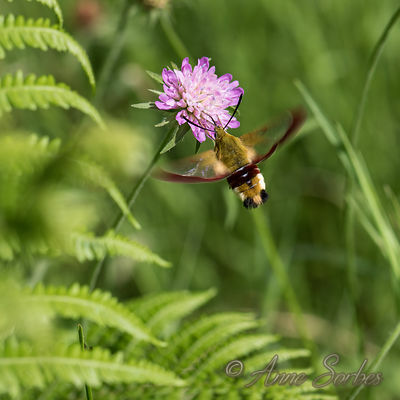 Broad-bordered bee hawk-moth gathering nectar of a Wood Scabious flower in a wet meadow. 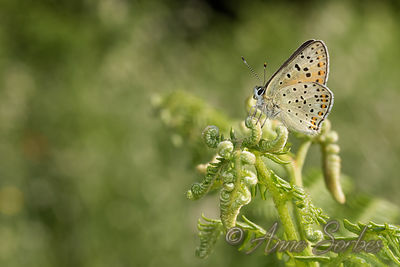 Sooty Copper resting on common bracken in a wet meadow. 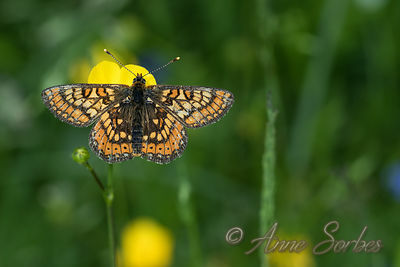 Marsh fritillary gathering nectar of a buttercup flower in a wet meadow. 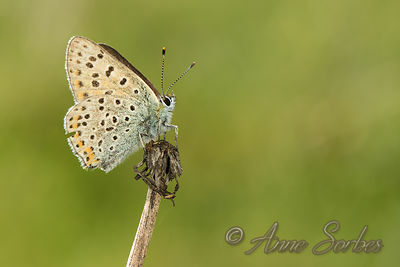 Common Blue male resting in a wet meadow. 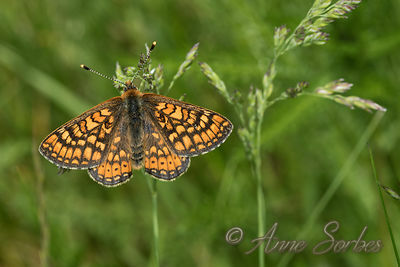 Marsh fritillary resting in a wet meadow. 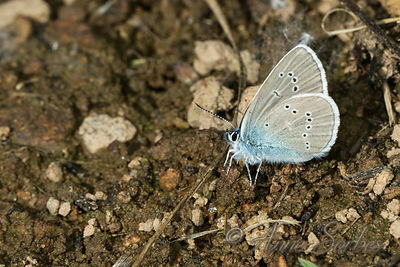 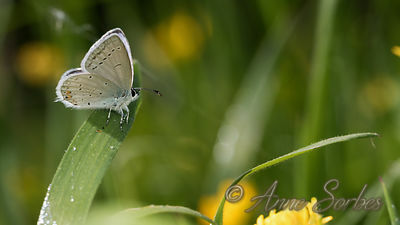 Short-tailed Blue male resting on a blade of grass in a wet meadow. 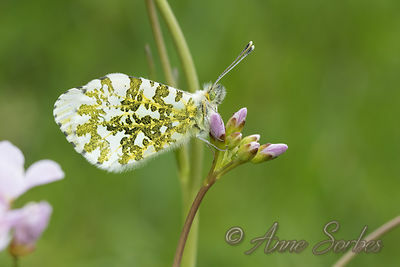 Orange Tip female resting on a cuckooflower in a wet meadow. 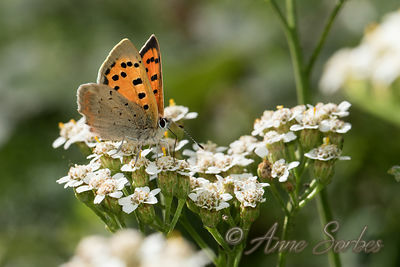 Small Copper foraging yarrow flower in a wet meadow. 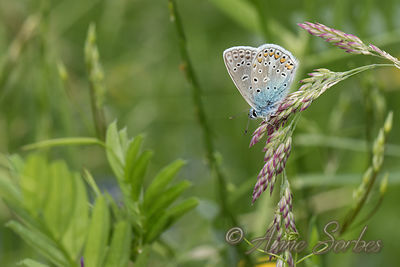 Beynat, Limousin, France. 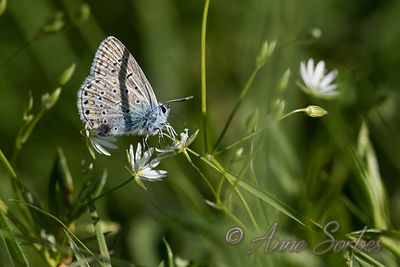 Common Blue male gathering nectar of a common starwort flower in a wet meadow. 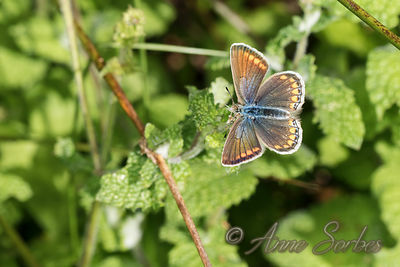 It's the blue suffusion on the top of the wings that sets it apart from other females who are brown. 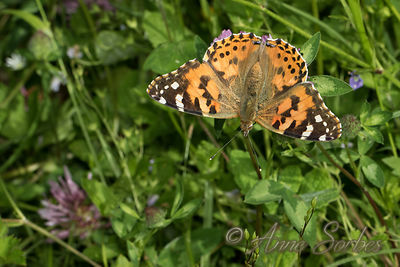 She gathering nectar of potentilla and mint flowers in my wet meadow. 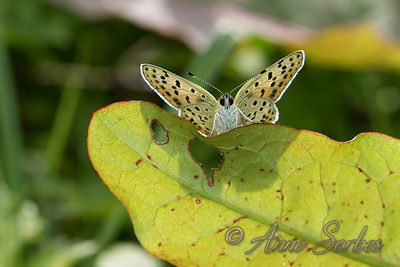 Sooty Copper resting on a sorrel leaf in a wet meadow. 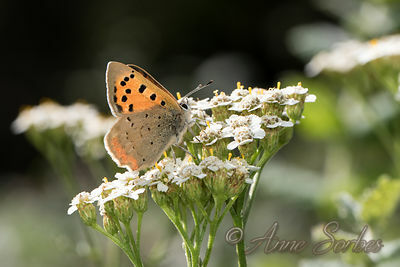 Sooty Copper female resting on apple mint in a wet meadow. 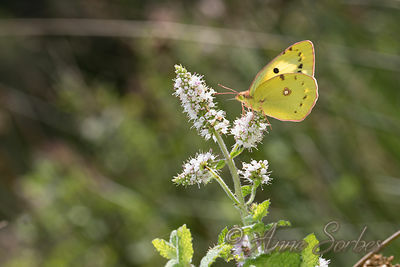 Clouded yellow gathering nectar of apple mint in a wet meadow. 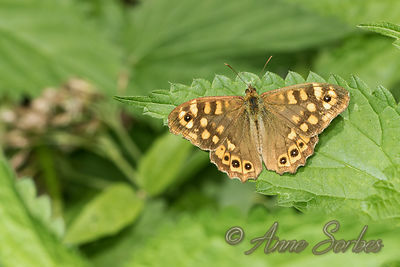 Speckled Wood resting on a nettle leaf near a forest. 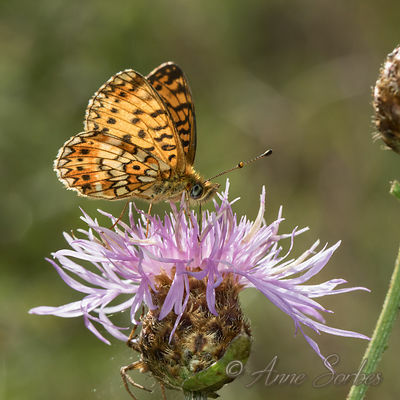 Small Pearl-bordered Fritillary gathering nectar of a brown knapweed flower in a wet meadow. 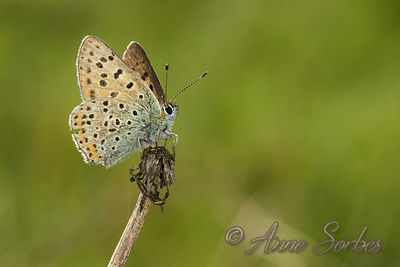 Common Blue female resting on a apple mint in a wet meadow.